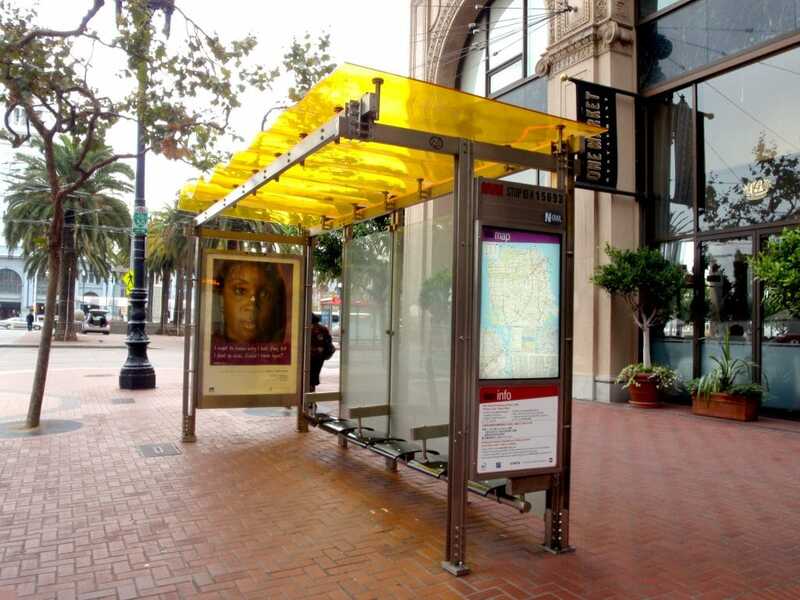 Digital displays are being installed in transit stops and bus shelters in metro areas around the world. 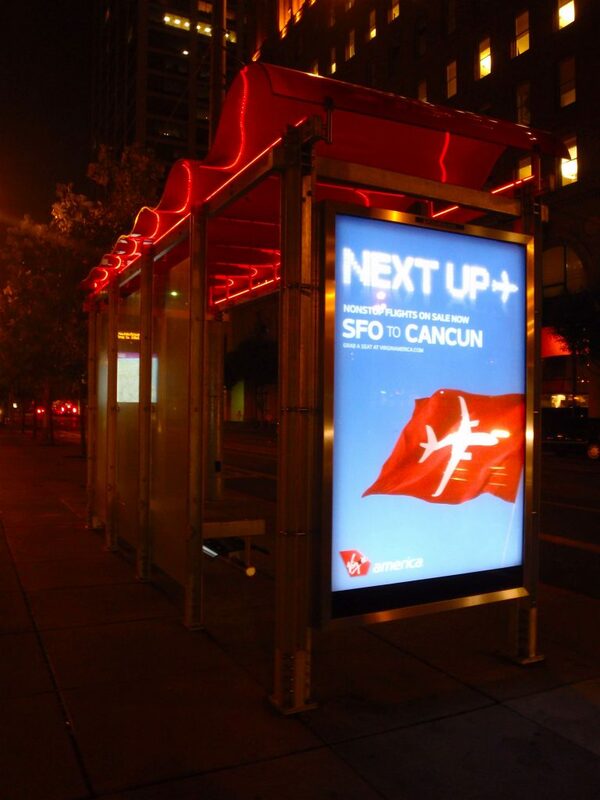 Our LED technology allows for high visibility, weather resistant displays that can be custom designed for each market. 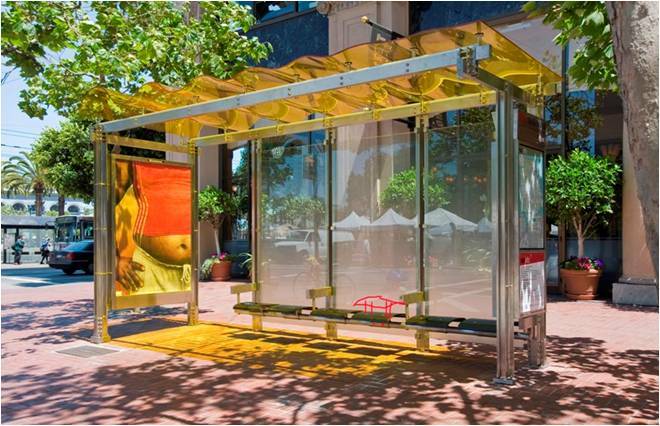 Digital Bus Shelters or digital transit shelters offer 24-hour visibility to both vehicular and pedestrian traffic. 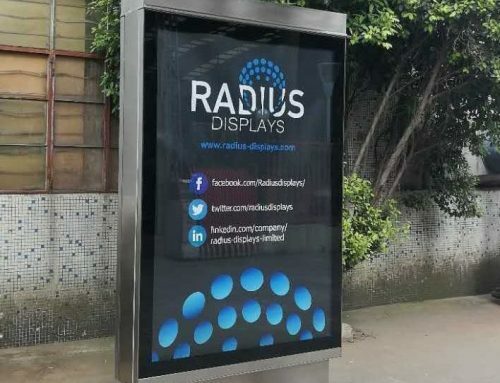 These displays are perfect for a street level marketing campaign since they are typically placed at high circulation locations. 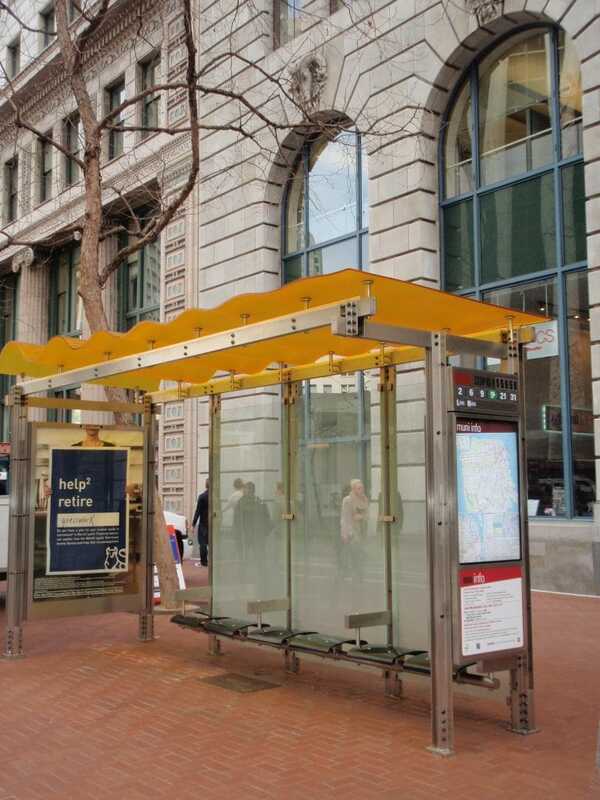 Digital transit displays hold multiple advertising messages and rotate through messages throughout the day. 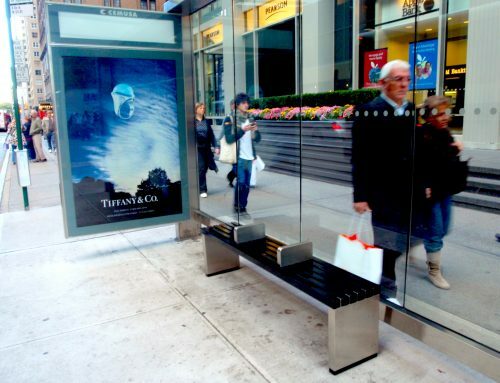 The movement between advertisers will catch the eye of consumers as they are approaching the digital bus shelters. 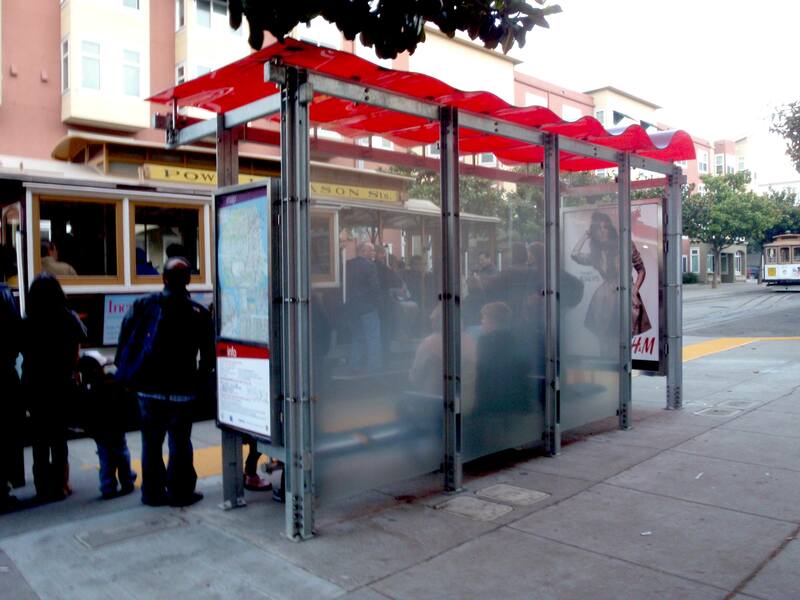 We collaborated with Clear Channel Outdoor, Lundberg Designs and San Francisco City Council to engineer and supply bus shelters in San Francisco with UL labeled LED light panels and roof lamps. 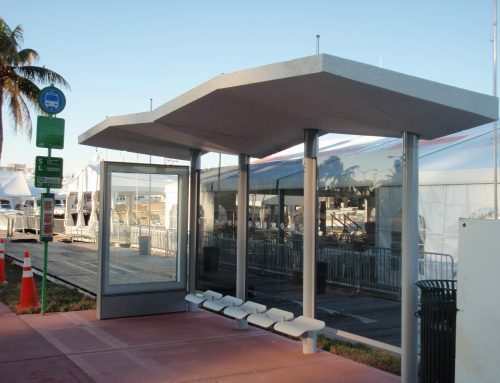 The goal was to design and build energy efficient bus shelters that would meet the strict building guidelines set by the city council. Radius guided the technical execution of the project, requiring effective communication with multiple partners. We were able to manage the supply chain, quality assurance processes, budget, installation and maintenance plan. The total build included 1300 units, using sustainable manufacturing processes whenever possible. Solar roofs were made of recyclable material. 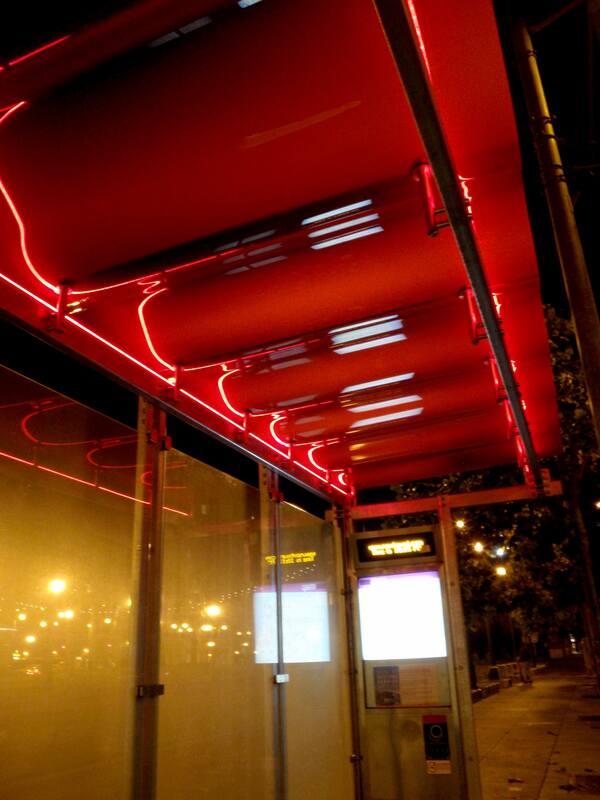 The LED lights are 4.5 times more efficient that the fluorescent lighting used on the former shelters. Radius provided a high production speed of 50 units every 1.5 months and included rigorous third party quality checks. In addition to the energy savings the LED structures provide, cities also have the opportunity to recover installation and maintenance costs of the improved shelters through advertising contracts. The advertising and interactive capabilities of the LED displays make them an attractive form of outdoor media. Touch screen, interactive and WiFi capabilities enable consumers to engage with brands. 72” HD LCD display provides premium imagery and colors. Offers endless creative and promotional flexibility. Change messages frequently and time sensitively to complement marketing objectives. Impact consumers in desirable areas of the market near social spaces, retail centers, business districts and entertainment venues. Accurate reporting on interactive performance and campaign display time.